Photo: Once malnourished, sick, and without hope, 13-year-old Kyine now lives in one of our Myanmar orphan homes where she receives everything she needs to be happy and healthy. We are happy to report that our new preschool has been operating successfully since it opened and started offering classes in June 2016. We have 4 newly enrolled students, which has increased our enrollment total to 10 children (ages 3-5 years). Our students are studying the history of Myanmar, their native Burmese language, English, math, and music, while also enjoying educational games and TV programs. We have 2 teachers and 1 staff member, who functions as a teaching assistant, a cook, and a custodian. The current school semester will end in April, and we will resume classes in May or June of this year. Our goal is to reach as many children as possible in the future, with a 1:10 ratio of teachers to children, and to hire more staff members as we gain more students. With your support we were able to purchase an additional air conditioning unit which will give our children, teachers, and staff more comfort during their educational pursuits during the hot summer months. Now we are seeking to raise money to purchase another small air conditioning unit because the weather is already unusually hot as we head toward summer. In other good news, the preschool students enjoyed a field trip to the local zoo in October 2016, which they enjoyed immensely. They saw various types of birds, monkeys, deer, snakes, elephants, and a variety of fish. The children also enjoy other fun activities when they are not in school such as playing games together, jumping rope, singing, dancing, running, and playing football. With your support we hope to purchase many more types of toys, balls, puzzles, and building blocks. In addition, we are seeking to buy educational charts to aid in teaching the children their letters and numbers in order to enhance their education pursuits in the classroom. Another part of our vision is for the preschool to solve the unemployment problem among those in our local community as we are able to hire more teachers and staff. While also providing a valuable education to our orphan home children, the new preschool will give us another step toward sustainability for our programs by receiving tuition payments from neighborhood families who can afford to pay — 7 children attending classes at this time are playing tuition. We believe the school will become a reputable foundation of quality education for young children in Myanmar. Photo inset: (Top-left): Our preschool students are studying the history of Myanmar, their native Burmese language, English, math, and music. (Top-right): One of our orphans, Kyine, and her sisters at the orphan home were thankful to receive school supplies when the current semester started last year. (Bottom-left): Kyine and her brothers and sisters at the orphan home were thankful to receive Christmas gifts last year. (Bottom-right): We have 4 newly enrolled students at our preschool, which has increased our enrollment total to 10 children (ages 3-5 years). 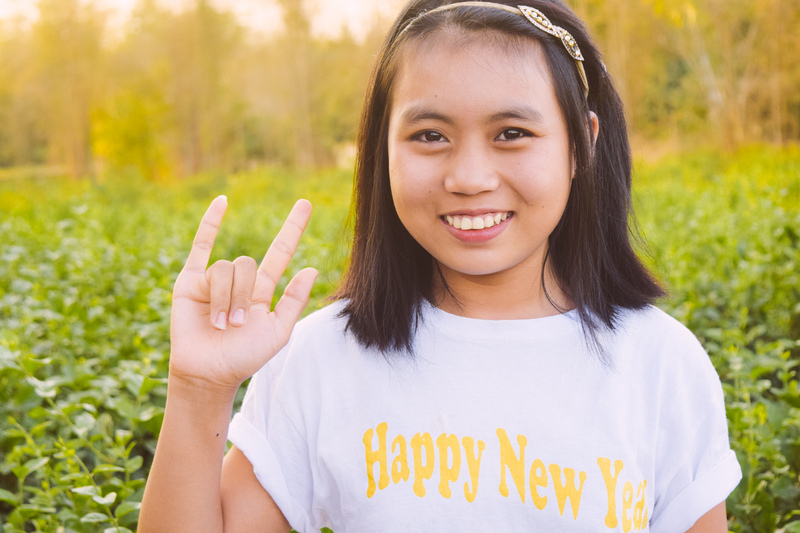 To further the good news coming from our Myanmar programs, we’re happy to share a powerful story of one of our orphans, 13-year-old Kyine, who now lives a blessed life full of hope at one of our orphan homes in Myanmar. Before Kyine came to live with us, she lived in the Kaya state where her parents died when she was a young child. Her village was located very far away from the nearest town, which made it difficult for her to attend school. No one in Kyine’s impoverished village could afford to care for her or provide for her education. The village elders took care of Kyine’s basic needs, but she missed 2 years of school during this lonely and difficult time, which made her feel very sad and hopeless. At that time a local woman who knew of our programs befriended Kyine and brought her to live under our loving care. When Kyine came to live with us, she was 8 years old, and she was very sick and thin because there was not a medical clinic in her small village. Our native team sent her to a medical clinic for several months where she was under the regular care of a doctor. He prescribed the medicine she needed, which she takes every day, and now Kyine is healthy and strong. She is very happy to live in our orphan home with her new family now, and she is extremely thankful to be able to continue her education. Kyine is currently in the 6th grade, and her favorite subject is the history of Myanmar. She has also learned about Jesus while in the orphan home, and she has decided that she would like to be baptized next month. 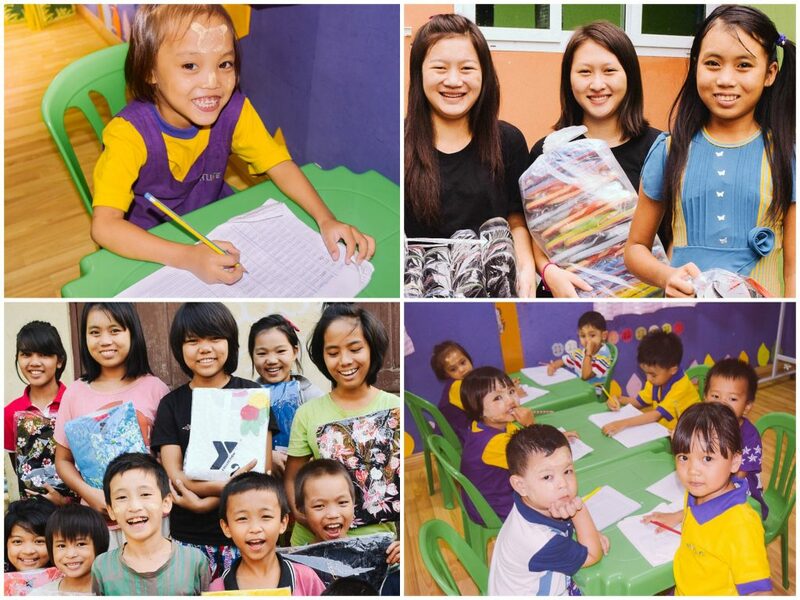 When Kyine is not doing her schoolwork, she loves to play games with her friends and sing. In all that we do, we aim to go beyond rescue to rehabilitation and restoration, through education and proper equipping, and through providing the orphans with loving, nurturing home environments. As always, we are thankful for your continual prayers and generous support.